As a disruptive healthcare diagnostics company, Cardiotrack has been extensively using artificial intelligence in cardiac care solutions. With an aim to significantly reduce the cost of diagnosis, the team, lead by Ashim Roy, is focused on addressing key challenges in underserved areas where an on-time diagnosis can make a life-changing difference. Analytics India Magazine caught up with Ashim Roy, who along with Avin Agarwal and a team of 15, are driving their passion for serving the needs of people especially in Indian Tier-II cities. 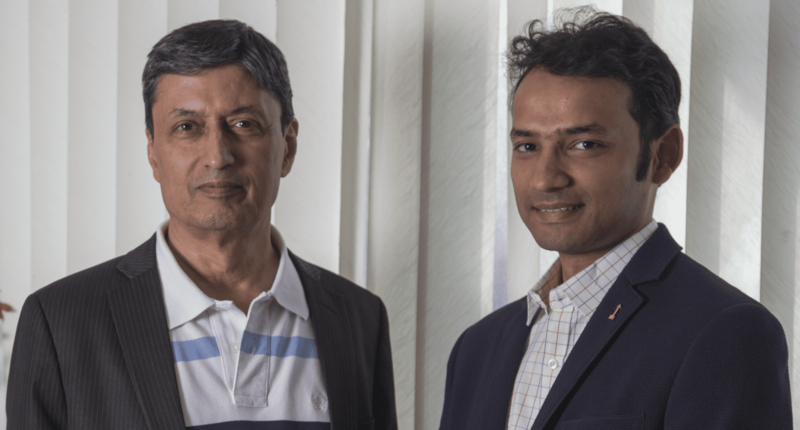 Having grown up in smaller cities in Uttar Pradesh and Rajasthan, Roy and Agarwal could relate to the need of having timely diagnosis, which is the key force that drives them, as well as Cardiotrack. While Agarwal has a degree in Medical Electronics with a work experience in the Netherlands for five years, Roy is a graduate of BITS, Pilani and IIT Delhi and has worked in Australia, Canada and the US for 25 years. Roy shares, “Cardiotrack as a concept we created during numerous discussions with medical researchers at St John’s Research, the outcome of which led to a focus on improving healthcare delivery and chronic illness diagnosis in India”. The founders connected primary care facility with AI to bring solutions focused on the needs of cardiovascular diseases, which is a prime reason of concern in many countries. Especially in India, where 60 million people suffer from cardiovascular diseases, there are less than 10,000 cardiologists. Sadly, most of the cardiologists and cardiac care facilities situated in urban centers. Healthcare IoT Device, which is a patient monitor device capturing accurate 12-lead ECG data of a patient. mHealth App, which allows a user to see the captured ECG. Physicians can review the ECG anytime later when patient revisits, allowing to keep a track on other health vitals of the patients through a connected set of diagnostics devices such as blood pressure, cholesterol and blood glucose. Cloud Services And AI, that includes data storage and AI analytics. Diagnostics Aid: It pertains to their offering to cath labs. The AI interpretation is based on a neural network that compares a patient’s ECG with a database on 500,000 ECG scans that are already reviewed by cardiologists. The neural network works like a fast comparator to identify nearest match. The advantage of this approach is that AI engine finds several matches with different levels of accuracy. The accuracy of interpretation is purely a function of number of scans in the database for a given heart health condition. Prediction: The health prediction is the next big frontier of AI. Cardiotrack has started their own research in AI prediction to bring multi-parameter analytics to help assess heart attack probability with a high level of accuracy. The model which is based on six parameters— ECG, blood pressure, blood Sugar, cholesterol, smoking and BMI, will take few months to come up with initial prototype. The basic idea is to develop a model that provides an accurate prediction of adverse heart diseases such as heart attack within few months. Roy believes that this AI approach based on real patient records is likely to yield accuracies higher than 80%, i.e. much more accurate than Framingham Score, which according to researchers from Harvard Med School is only 56% accurate. Roy is quick to share that they have more than a dozen ongoing discussions with hospitals and cath labs across in India as well as internationally. “Most promising among these are discussions with Braunwald Hospital Group, which is a new hospital offering low cost acute cardiac care through a chain of hospitals”. Explaining how it works, Roy said, “We deploy Cardiotrack 12-lead ECG device at each of the clinics, after performing a due diligence of the primary care physicians. Our team trains the physician and medical team to ensure that information flow happens properly. When a patient complains of chest pain or other symptoms of cardiovascular disease, the primary care physician capture patient’s ECG, which is uploaded to cloud server and analysed using the AI interpretation engine. The AI interpretation is sent to the physician immediately, which typically reaches physician in less than two minutes. Based on the AI interpretation, physician takes necessary steps in intervention. In severe cases, physician forwards the patient’s ECG scan to the hospital and recommends that the patient visit the hospital immediately”. He also added that they are working with Paras Hospital in Delhi NCR, Star Hospital in Ahmedabad and Columbia Asia in Bengaluru. “The results are remarkable in some cases. For instance in Paras Hospital where we have deployed 10 Cardiotrack devices, where in five months, we could identify 13 cases requiring Angiogram and seven cases requiring angioplasty”, he said. “We are now in discussion with Paras to expand the Cardiotrack deployment by adding 50 primary care clinics”, he added. Benefits to Patients: It makes health diagnostics accessible to more patients. Benefits to Physicians: They can now better understand heart health of the patient and provide better guidance when there is a severe case. Cardiologists can devote more time on patient care rather than sorting out normal and abnormal patients. “Our story is that of coincidences and lucky breaks”, says Roy. In the initial days, the two founders shared the cost of early development, and when they tried to raise funds in India, they did not receive traction from early-stage investors. Later, based on the results of field testing of early prototypes, they contacted potential investors in Singapore. Till now they have raised over $1 million in funding from multiple sources and countries. “After initial trials, we approached Columbia Asia, Paras and Star hospitals, and Columbia Asia was a first to try out our solution”, he said. Roy says that while they have witnessed a phenomenal growth, a startup without challenges would not be a startup. “Challenges, constraints and competition keep us on our toes and make us innovate in every aspect of our activities. We must hire good people in the team, constantly improve upon our ideas and collaborate with academia to keep R&D cost affordable”. He further shares that when it comes to AI, data Interpretation is just the beginning and perhaps the simplest of the tasks as long as one has large annotated datasets to train the AI engine. “The excitement of AI is in prediction and that is really close to our heart”, he said on a concluding note.